American reply to Mumford And Sons? The laurels Mumford And Sons must have itched some people living on the other side of the Atlantic, since they assembled a group called The Lumineers and went on to play pretty much the same music, yet, as is predictable, in their own American way. All kidding aside, the Colorado trio have all they need to become the main, most discussed and most significant figures on the modern folk rock scene in the States, providing they keep playing so inspiringly and interestingly as they did on their eponymous debut long player. The folk rock by The Lumineers is not a style that requires a lot of time to get accustomed to or a great brain effort to decipher all messages and signs concealed in their music. 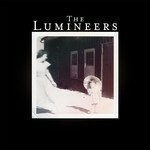 The Lumineers songs have that amazing ability to make you like and remember them all at once. This is exactly what happed to their single and so far their main hit, Ho Hey, a colorful picture of their style. The Lumineers first studio work develops all these ideas in a widest and most efficient manner. The Lumineers literally disarm those who have prepared skepticism and criticism and, instead of thrashing this record, will be condemned to replay it over and over. At first, we just have another quality release of an album with a music that is now experiencing a great boom. Yet The Lumineers folk rock is a lot more that just tasty tunes, plenty of traditional banjo and mandolin, handclaps, foot stamps and choral back vocals. All this does charm and fascinate, but, only recovered from the initial effect, do we start to catch glimpses of something in this music that makes it different from that of other performers working in this genre. The Lumineers do these songs as if they were born with these melodies in their souls. The absolute harmony among all three members of the outfit stretches from the sheer music level further into a somewhat deeper and less traceable domain. Thus, once attracted to the energetic and refreshing Ho Hey, Flowers In Your Hair or, for instance, Classy Girls, suddenly you will realize that the ensemble is set to offer something bigger, deeper and more personal. And the greatest power is discovered in slower lyrical tunes, particularly, Slow It Down. Songs like that are known to give you a sharper feeling of the performer’s emotions which are not muted by loud music or distorted by high tempo. The second half of The Lumineers is not as ear-catching as the first, lacking fast and hit-like material, but this is where you get to know the musicians better, as they become closer and franker with their public. Flappy Girl, and Big Parade touch upon aspects of purely American history, being dedicated respectively to Depression and John Kennedy presidency. Stubborn Love is an irresistible ballad of an unrequited love with the main character preferring to suffer rather than not feel anything at all. The set is closed by another slow, yet more positive track, Morning Song. And that is how, within just one album, The Lumineers reveal two opposite sides of their musical essence, the dynamics and festivity is smoothly replaced by the melancholy and thoughtfulness. Splendid lyrics not just supplement the trio’s music, but become its integral part and trade mark. As early as now critics are beginning to speculate that The Lumineers are not afraid to take up the duties of new Bob Dylans as they picture life of Americans and their nation with so much detail and concern. A long story short, The Lumineers albums fully lives up to the highest expectations of the audience and set a bar very high for both the band itself and other representatives of this genre.